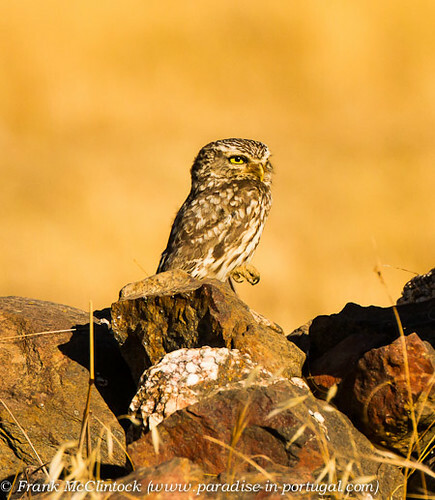 Little Owl-2271, originally uploaded by Paradise in Portugal. Before I say anything at all about Birding in Portugal‘s Raffle at the Birdfair, I must first give my heartfelt thanks to everyone who made this Birdfair so successful; to the Birdfair Team and their volunteers of course we all owe a huge debt of gratitude, but I owe just as much to all my friends and family who gave up their time to make Birding in Portugal’s attendance the success it was. To Michael and Emily who year after year invite me into their busy lives and print endless reams of paper and pictures, to Smithy and Antz who year after year let me stay in their lovely house in Rutland, to Des who year after year drives over to help out on the stand itself and to Ronnie who came over this year for the first time too, to Elias, aka “The Badger” who cut short his holiday in Vienna and came to help out again on the stand this year and of course to Daniela who kept the Quinta show on the road as efficiently as ever while I was away with the excellent assistance this year of her new son Jake. A BIG THANKS to all of you. You have all supported me over so many years; I owe you far more than you can imagine. So, who won the Raffle then? I sincerely hope the winners claim this year, so here we go, hand into the bag, and … the first prize of a week’s B&B accommodation here at Paradise in Portugal has been won by Helen Franklin. Congratulations! One last thing … please take the time – if you have not already done so – to sign our petition against the imminent destruction of one of Portugal’s best birding sites, Salgados or “Pera Marsh” as it’s known to many. It costs nothing and we are battling for its survival against large influential bodies that see in it just more dollars for themselves, closing their eyes entirely to the damage that their development will wreak. The petition stands today at 13,820 and we are trying to gather as many signatures as we can before Parliament reconvenes at the beginning of September. Get your friends to sign too! IMG_4614-2, originally uploaded by Paradise in Portugal. 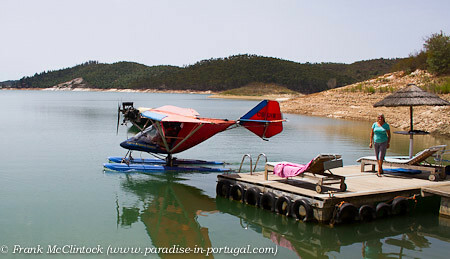 I’m off to the Birdfair tomorrow so just thought I’d leave on a high – and what could be higher than mucking around over the lake in a Microlight, courtesy of Dave and Karen from the Algarve Airsports Centre based down in Lagos. They regularly pop up to take our guests out for a spin here and there’s really no better way of seeing just how large the lake is, so if you fancy getting up there with the birds drop us a line! Talking of the Birdfair, it runs next Friday, Saturday and Sunday in Rutland. I’ll be on Stand 93 in Marquee 4, “Birding in Portugal“, and’ll be giving a lecture about Salgados on Friday at 17.00 so if you want to find out the current state of affairs and have a chat, it’d be great to see you there!